Currently a Performance Engineer and Limit Handling Instructor at General Motors’ Milford Proving Grounds, Cade has 17 years of motorsports and instructional experience. 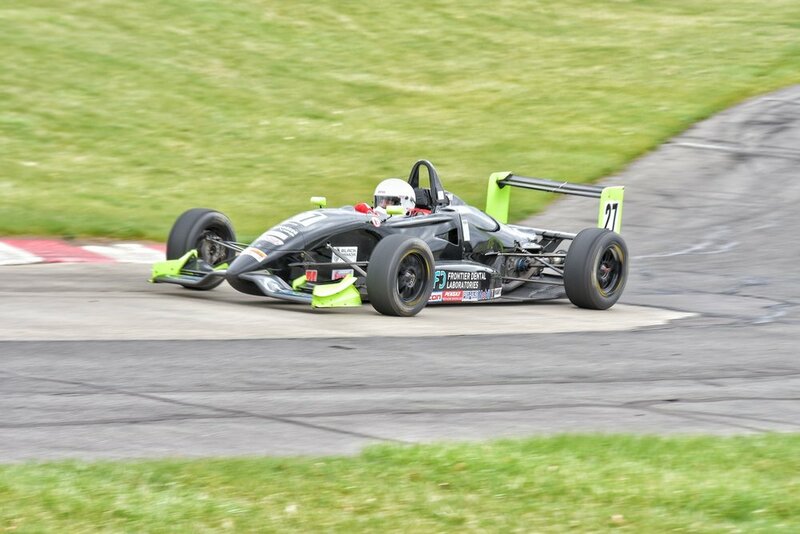 Recent successes include 2nd overall in FC for Western Michigan Region 2017 as well as 2015 Time Trial Class B Championship with NASA Southern California region. He has been instructing since 2007, frequently praised for his approachable and effective instructional style. He is a proud alumnus of the United States Naval Academy and a member of the Class of 2000. An enthusiastic and new driver to open wheel racing, Daniel Guenther is making the transition from heavy GT cars to the faster paced formula classes. Daniel started restorations on classic British cars at a young age and began participating in solo racing at 16 with a Triumph Spitfire. He then moved onto track days in a BMW 330ci. At 18, he obtained an SCCA competition license through the St. Louis Alternative Racing School. He then went on to race in the GT-Lite and IT classes. With a 2002 V6 Mustang, he was able to make his first mark in racing by becoming the 2016 ITR MidAM champion. Always focused on crafting his driving skills, he went to BMWCCA Racing School at Virginia International Raceway. Daniel also has experience working with others at the track and in a race shop. He has helped SCCA club members prepare for races and attended Ranken Technical College. "Warbird" is just old enough to compete as a 'Club' Formula C, but she's got a lot of fight in her. Our tribute to our veterans is a homage to the P-40 Warhawk fighters of the American Volunteer Group that defended the supply routes into southern China during WWII. This car is currently unavailable while we rebuild to our high standards. Contact us for estimated availability. Proudly supporting veterans and sponsored by Carr's Finishing Touch of Howell. 155 Horsepower doesn't sound like much, until you realize it's only pushing 1000 pounds! That power to weight ratio is similar to a 460 hp muscle car, and with these big wings it corners nearly 3 times harder. At most race weekends, a Formula C will be one of the fastest cars on the track. Fully rebuilt during 2016, competed in SCCA Majors Tour and Runoffs at Indianpolis in 2017. Look to see Dan Guenther campaign this car throughout the 2018 season! Sponsored by Tefft Welding and Fabrication of Howell, Gyve.io, Apex IT Solutions, and The Parlor Howell. #27 is our first Zetec powered (fuel-injected) car. With the latest aero and lots of low end torque, it's a very quick car indeed! Would you like to see this car with your logo? Contact us! Have an active license and looking for a fast and competitive ride? Contact us! Completely rebuilt from the ground up in 2017 after a devastating crash in 2016 - our 1996 VD took top honors in class at Autorama 2018 and is more than just a pretty face. This particular model is a 'monoshock' car - meaning it runs a unique single shock/sliding shuttle arrangement up front. Frontal area is reduced for drag, and can also use curbing a little more aggressively than the others. Flying our company colors - expect to see Cade back behind the wheel here for the 2018 season.